Selections for the SDA Bocconi's MPA, Master of Public Administration, are now open. MPA is the one-year full-time program in English designed to help international students develop specialized knowledge and personal qualities for professional work in the public sector and associated institutions, locally and globally. 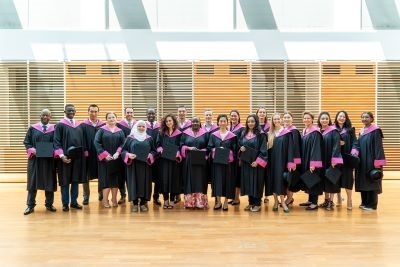 MPA primarily addresses international, post-graduate students and working professionals, who are looking for solid public management tools and want to pursue a managerial career within governmental and non-governmental organizations, international institutions, as well as private businesses working with the public sector. State-of-the-art scientific background, actionable knowledge and collaboration with a network of governmental institutions, international organizations and NGOs, professionalism and openness to diversity: all these elements make the MPA a unique, once-in-a-life learning experience for future managers of public interests. Why choose the SDA Bocconi MPA? Because MPA is a comprehensive and well-balanced learning path, designed to help students achieve the maximum standards of professional knowledge and behavior. From the basics of public management to concentrations and internships, the MPA's learning environment fosters the development of a creative mindset required to tackle public management issues at a global level.